Studios Antonia are located in the nicest area of Skala. The big private balconies of our studios have an enchanting view of the port in Skala, of Chora with the Monastery of St. John and the building of the Apocalypse. The cozy, modern and comfortable DIMITRA STUDIOS located at harbor of Skala. It is fully equipped. Equipped kitchen, air condition, tv etc. "Le Balcon". Είναι ένα μικρό συγκρότημα παραθεριστικών διαμερισμάτων Α 'κατηγορίας στο όμορφο ελληνικό νησί της Πάτμου. Βρίσκεται στον Πλωρισόντα, 900 m. από το λιμάνι (Σκάλα) πάνω από τον κεντρικό δρόμο Σκάλα - Γροίκος που περνάει κατά μήκος της θάλασσας. SPITI. In the most quiet place of Patmos. 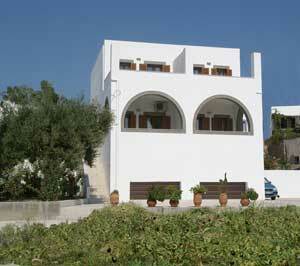 SPITI is a detached house in the most quiet place of Patmos. It is 15 minutes walk from the center of Skala and 5 minutes from the sea Merika. 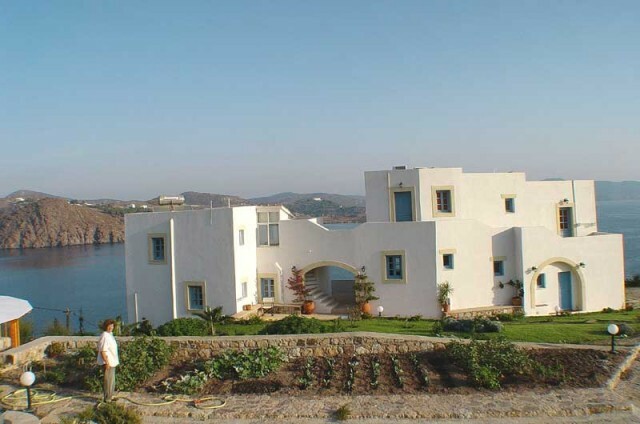 It overlooks the monastery of Patmos.